Jatropha –The Rag to Riches Story of a Humble Plant !!! The story of a plant so far left uncared, un-attended and considered a menace has raised to the status of Cinderella- the poor house maid who happened to be the bride of the ruling prince! Jatropha (also known as physic-nut tree) is a shrub that used to grow every where required no manures, not to be watered; even pests left it uncared so it was not affected by any diseases. Being a vagabond in plant kingdom, people just let it grow on the hedges and the poor tree got the duty as a hedge-row plant. It bore seeds so far no one cared, who bothered of a useless seed of a waste land plant. All that has changed, the complete scenario has changed now this Cinderella is a princess with many suitors. Multinationals stand on knee before her for the “magnificent” fruits she bears. Jatropha fruits (looks like a grape- fruit four times its weight), each fruit contains three seeds about the size of a plum. These seeds contain about 35% oil that can be dehydrated can be used as “bio-diesel”, there is the point, this time of fuel crisis (not just shortage but being used as a weapon by those who own it) any thing that can be used as a substitute immediately gains public attention. Jatropha being a shrub (a half sized tree belonging to the family euphorbiaceae) has a life span of about 50 years (hence periodical planting etc are not needed). It has succulent stem, single- lobbed large green leaves and grows to only eight to ten feet in height, and hence collection of fruits is easy. Each year it bears several bunches of fruits (each bunch has five to eight fruits) with oil- rich seeds, the oil is un-edible, but has some medicinal properties. 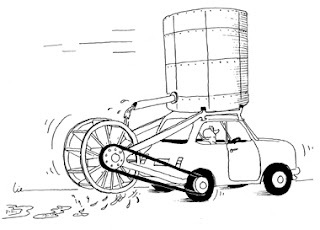 The oil was previously used for making soaps and varnishes, the bio-diesel purpose is only a recently invented one. It is all about money, honey! The economics of planting it in commercial scale is baffling. The total oil yield will not be less than 1300 kilograms of seeds per hectare per year. It is about ten times the quantity corn can yield or 50% more than what sugarcane yield in ethanol. The money to be spent for cultivation is the most compelling aspect as it a perennial plant repeated planting is not necessary that saves much in cost. This crop generally requires no irrigation pesticide or manure. Only job of the farmer is to collect the fruits and send it to a mill or sell it outright and fill his pocket. Brazilians are very innovative and the last fuel crisis (when crude was traded above seventy dollars/barrel) was utilized by them as a great opportunity to market “ethanol’ the bio petrol extracted from molasses via sugar-cane root. All their sugar factories turned out to be ethanol units) At present when crude is trading 50+ a barrel they are all out to find a new opportunity in this crisis (falling crude prize!). If their concerted efforts bear fruits soon there will gallons and gallons of solution for the fuel crisis (the bio-diesel). About one year back Indian Railway Minister Mr. Lalu Prasad Yadav has declared that jatropha will be cultivated in the waste-lands owned by Indian Railway. It seems that his declaration ended up as just declaration –as the crude prize eased a tad. Further declarations will come only when crude will jump to 80+ dollars a barrel. Indian Railway has got plenty of waste-lands in its custody, even leasing out it for jatropha farmers could earn a hefty amount for the Railways and employment for the laborers. There on bio-diesel company (Bionasa) with participation with local investors is all set to plant 2, 00,000 hectares with jatropha, Brazil is all set to make blending of 2% bio-fuel mandatory and companies are in a race to meet the ensuing demand. Brazil is already the top maker and exporter of ethanol and it makes a tidy sum out of the oil crises that raise its head occasionally. 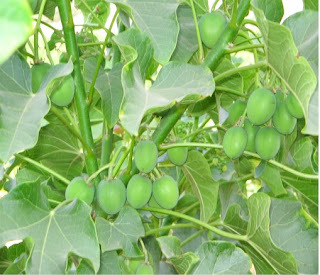 There is all evidence to show that in the near future jatropha will rise as the most popular oil crop in that country. Recently US government has raised its allocation for promoting bio-fuels about five times and that augurs well with the present trend of turning to alternate fuels. The corn route they have selected seems to be a wrong one as there is more scope in jatropha both in cost of production and oil yield. Let us hope America will spend some portion of the allocation in promoting jatropha plants. If America has no time for cultivation, it can be outsourced, India is here with a lot of waste lands and a lot of waste people to plant it! You got to love when a plant that grows like a weed becomes useful. Will have to repost your post on my landscape blog..will it grow anywhere, what type of climate will it grow in. Very good article on Jastropha. I didn't learn about Brazil and their use of ethanol only for vehicles until last year sometime. I agree with you that there is a lot to be learned from Brazil for the nations of the world to get off oil dependency. This Jastropha plant seems quite promising for bio-diesel I guess we have to wait and see. 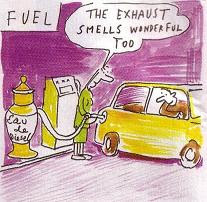 Here in Canada, are gasoline only has about 10% ethanol, so we are still quite dependent on oil. Great...the article created interest in me about a seed...which I never thought wud grow to this an extent with...the very comparison with Cinderall and the multinational suitors makes the story captivating and also enlightens the spirit of cultivation. It is high time we look for alternative fuel sources as the petroleum reserves are getting depleted day by day. Jatropha will be an ideal substitute and it will give farmers in our country a much needed source of income. But I suspect it will be worthwhile only if cultivated in vast areas and with collective effort from the government and farmers. Incidentally, I would like to mention that one enterprising young man in our area has removed all the cashew trees and replanted his land with Jatropha, and now he calls it "Jatropha Park"